Production on the Freddie Mercury biopic will resume next week in the U.K.
Fletcher was originally attached to direct the film, with Ben Whishaw (“Skyfall”) in the role of legendary rocker Mercury. The director left the project in March 2014 over creative differences, and eventually Singer came on board with star Rami Malek. News of Singer’s firing from the mostly-finished film hit on Monday, when TheWrap reported on tensions between the director and studio over what numerous insiders called a “pattern” of unprofessional behavior — mostly prolonged absence and lateness, as well as conflicts with Malek. Singer denied any misdoings and issued a lengthy response to his firing through a lawyer — saying an ailing parent pulled his focus from the project and had compromised his own health. “I wanted nothing more than to be able to finish this project and help honor the legacy of Freddie Mercury and Queen, but Fox would not permit me to do so because I needed to temporarily put my health, and the health of my loved ones, first,” Singer said in his statement. Singer’s production company, Bad Hat Harry, has since vacated the Fox lot in West Los Angeles. “Rhapsody” costars Mike Myers, “Game of Thrones” star Aidan Gillen and “Sing Street’s” Lucy Boynton. It remains scheduled for December 2018 release. Mamma Mia Figaro! 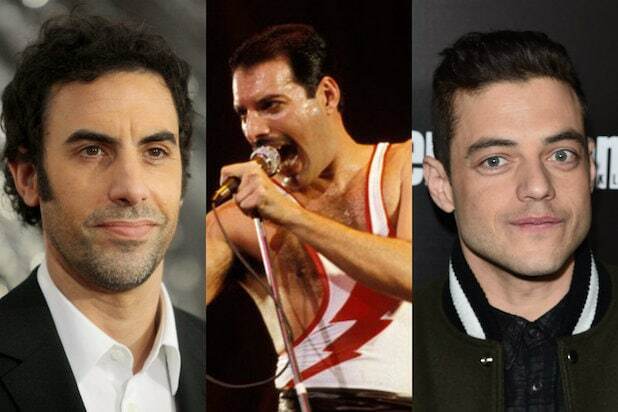 We've been anticipating a movie about the life of Queen frontman Freddie Mercury for the last seven years -- when it looked like Borat himself, Sacha Baron Cohen, might play the flamboyant singer. And at long last, we got images from the film "Bohemian Rhapsody" signaling it would finally come to pass. To add to the turmoil, Bryan Singer was even fired from the film. But the film finally opens on Nov. 2. Here's a brief history of the long road the film has taken to get made. 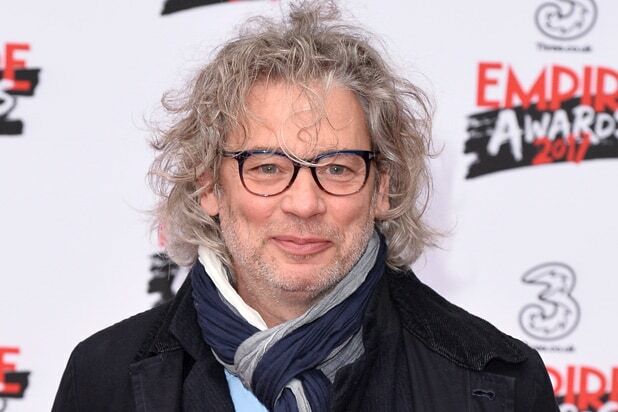 Stephen Frears is reported as the frontrunner for the directing job on the still untitled biopic, but other directors names are still in the mix. Frears would later address his brief involvement on the film, telling The Wrap that he had met with Baron Cohen and expected to hear more, but then read that Baron Cohen had a falling out with Queen’s Brian May. Sacha Baron Cohen exits the project over creative differences; Cohen wanted a warts-and-all portrayal of Mercury’s life, while the band members wanted a more reverential portrait of themselves, even going as far as to refuse “A King’s Speech” director Tom Hooper (pictured) for the job. “Harry Potter” star Daniel Radcliffe shoots down “ridiculous” rumors that he would be playing Mercury in the film, following a Daily Mail report. Another one bites the dust. Fletcher also departs the project over creative differences, again tied to a difference in opinion over whether to make the film R-rated or a more sanitized portrait of the band. “The Theory of Everything” scribe Anthony McCarten is hired to rewrite Morgan’s initial script, and the studio starts toying with the idea of “Bohemian Rhapsody” as the film’s official title. While Whishaw’s name is still at the top of the list to play Mercury, he doesn’t have a deal in place. Speaking with Howard Stern, Sacha Baron Cohen revealed he “should’ve listened to the warning bells” when he claims the band envisioned Mercury dying midway through the movie and then carrying on to see the band overcome that adversity. Queen’s Brian May fires back at Baron Cohen’s Howard Stern interview, telling the Daily Mail “Sacha became an a---,” even disputing Cohen’s take that they wanted to make a more PG biopic. "Why would he go away and say that we didn’t want to make a gritty film?" May said. "Are we the kind of people who have ever ducked from the truth? I don’t think so." “Mr. Robot’s” Rami Malek is the latest to step into the role of Freddie Mercury with Bryan Singer attached to direct. We finally get the first look at Malek as Mercury, and he looks stunning, bearing an uncanny resemblance of Mercury at Queen’s 1985 Live Aid concert. Malek also revealed that he would be singing in the film with a mix of Mercury’s own voice and was recording in Abbey Road studios. Aidan Gillen and Tom Hollander also round out the film's cast. Production halts on “Bohemian Rhapsody” due to Singer’s “unexpected unavailability,” which he said regarded a personal health matter. Days later, Fox fires Singer from the film just weeks away from wrapping production, and it’s still slated for release in December of 2018. Fox additionally closes Singer’s offices on their lot, and Singer claims he was fired because the studio wouldn’t give him time to care for a sick parent. Fox releases the first teaser trailer for "Bohemian Rhapsody." The film was pushed to Nov. 2, 2018 in March of that year. The teaser is a glossy look at the band's rise to stardom, but it's criticized for "hetero-washing" Mercury's gay identity and for saying Mercury died of a "life-threatening illness" instead of openly saying he died of AIDS. The movie finally opens in theaters -- with Rami Malek winning high praise for his performance (if not for the prosthetic teeth he uses to mimic Mercury's famous overbite). But reviews are overall tepid, with the film garnering a weak 60 percent on Rotten Tomatoes on opening day.